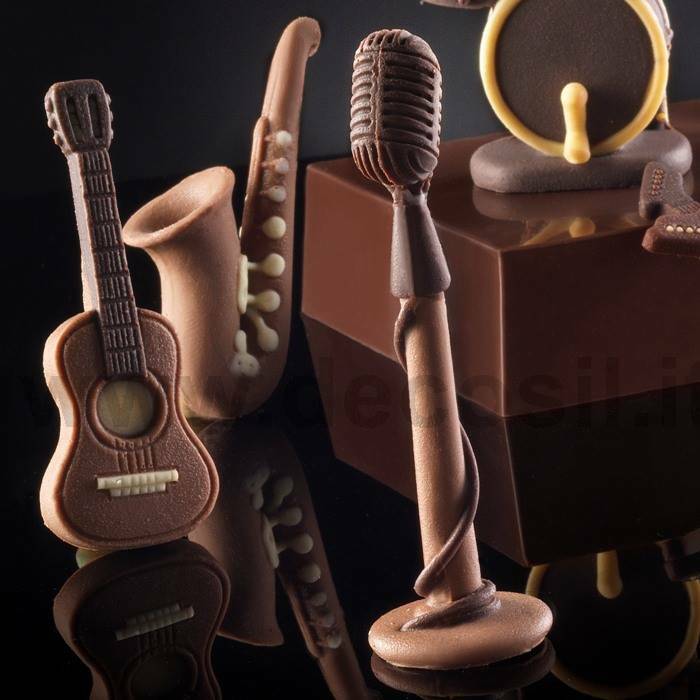 '60 Microphone MouldMicrophone chocolate moulds. 3D silicone chocolate moulds Made in Italy. Mould weight: aprroximately 0,146 kg. Chocolate subject weight: approximately 11 g.